This is the second in a series of briefs that offer recommendations and strategies for state officials, district-level staff, and system developers who seek to promote effective data use by decision makers and educators at any level of the education system. 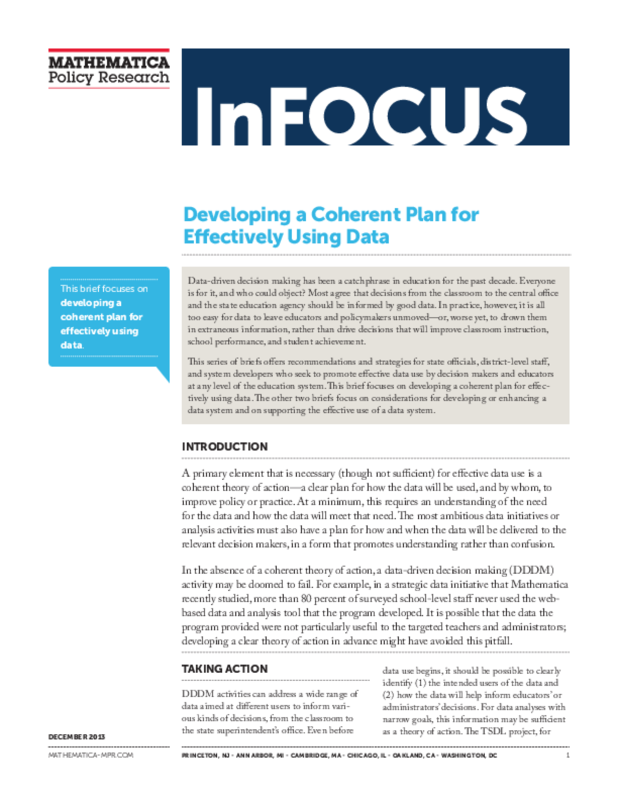 This brief focuses on developing a coherent plan for effectively using data. The other two briefs focus on considerations for developing or enhancing a data system and on supporting the effective use of a data system. Copyright 2013 Mathematica Policy Research, Inc..